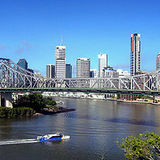 With a little research, spending a day in Brisbane without spending money is easily done. The Brisbane CBD is chockablock full of free entertainment. South Bank, Roma Street Parklands and the Botanic Gardens always have something going on, while landmarks like City Hall and Newstead House make for hours of exploration. Transport is a cinch with the free City Loop and Spring Hill Loop bus services. So make like a tourist and start discovering your own city! Your local library is a gold mine of free entertainment. As well as books, you can borrow magazines, CDs and DVDs (allowing for a very cheap movie night!) Brisbane City Council Libraries also host seminars, workshops and guest speakers, and most have WiFi. For free family fun, head to the Daisy Hill Koala Centre, located amidst the Daisy Hill Conservation Park. While you can't pet the animals, you can see them up close in their natural habitat. The Centre is open from 10am to 4pm and offers displays and information about koalas, a treetop tower and a Midnight Woodland Theatre. Time your day out properly and you don't even have to pay for food. The weekend markets are the best place for a free feed; many stall holders offer free samples of their wares while some of the smaller markets still offer a free sausage sizzle to lure the crowd. Also keep an eye out for public cooking events, free giveaways at supermarkets and food and cooking markets. If you're in the city, Ciao Bella offers free coffee for customers who can roll a six on their dice. And, though it may sound too good to be true, the Tatra Winery offers tasting of their wines and ports. The winery is open seven days a week from 9.00am but he sure to phone ahead. The State Library of Queensland hosts a weekly movie session on Sunday afternoons, while the Gallery of Modern Art Cinematheque runs movies all day long. Check out the Powerhouse Sunday Session, which starts at 3.30pm with Live Wire (free live music) and kicks on with Livewired (free comedy). Can your Sunday get any better? The Queensland Conservatorium regularly host free concerts; see their website for more details. Get healthy and stay wealthy with Pure Health Club classes taking place in a convenient Brisbane CBD location. Why? Because aren't you sick of this consumer society? Finders Keepers Market Brisbane, at the Old Museum, Saturday and Sunday 10am-5pm The Sneaky Cafe's Garden Bar and Cafe will have great food, boutique wines and crafted beers, complementing live local indi acts performing all day. Free.